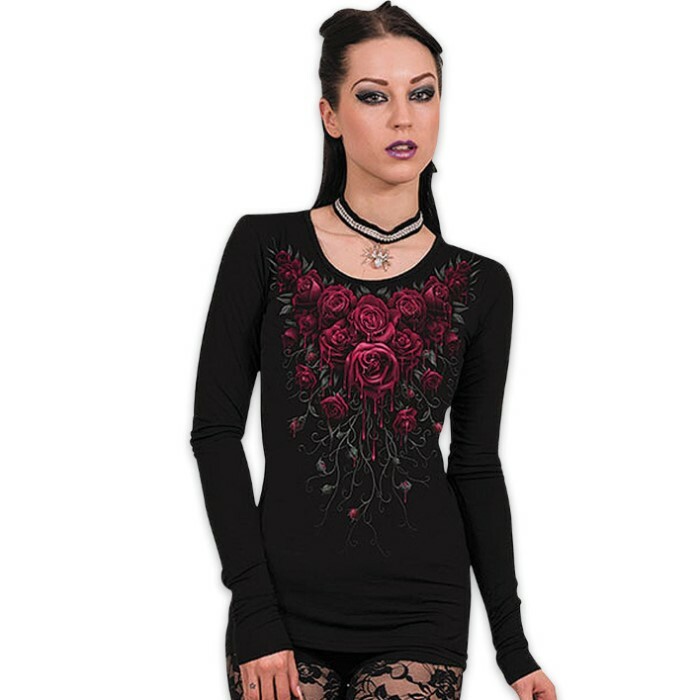 Women’s Blood Rose Long Sleeve Shirt | BUDK.com - Knives & Swords At The Lowest Prices! A beautiful garland of Gothic roses, but look closely, is that blood? 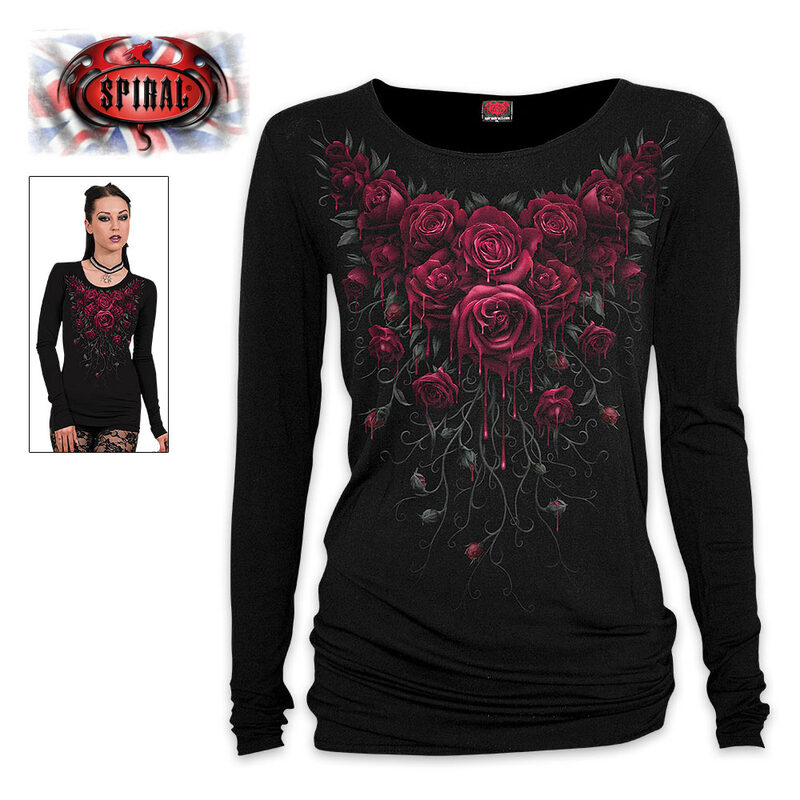 This black loose-fitting, long-sleeved shirt has a beautifully illustrated rose-themed design. It features vivid original artwork and is made of high quality jersey material. Add that touch of Gothic elegance to your wardrobe with this incredibly comfortable, great-looking shirt.